New Mac Pro release set for Nov. 17, new MacBook Pro models next week? New Darth Vader-ish Mac Pro coming next month? Apple will waste little time getting new MacBook Pros into the hands of eager consumers if, as expected, it revamps the high-end laptop range next week. That's according to reports out today saying the company is likely to reveal new versions of its 13- and 15-inch MacBook Pro with Retina Display machines at its October 22 event. French site MacG.co is under the impression Apple will make the devices available for sale later that week on October 24 or 25. There's nothing concrete in the report, or leaked store inventories or anything like that, but the site does claim to have received the information from the same source that tipped it off about a recent iPod revamp. Make of that what you will. However, that's not all MacG's report has in store. 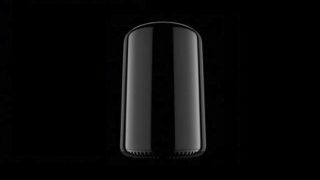 It also claimed to know the release date for the eagerly-anticipated Mac Pro desktop tower, which boasts an intriguing cylindrical design and a wealth of power. So far, Apple has only committed to a "fall 2013" release window, but the French site has pinpointed November 17 as D-Day. Additionally the site is touting the expected iPad mini 2 and iPad 5 release date as October 31. Is the site onto something or is it just educated guess work? Not long to find out, Apple says it 'still has a lot to cover' on October 22. Join TechRadar for live, as-it-happens coverage.